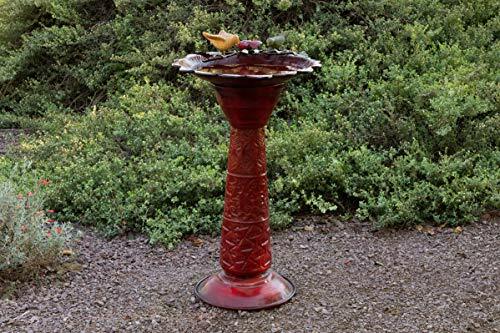 Keep your birds clean and your garden looking great with this bright and bold red glaze bird bath. 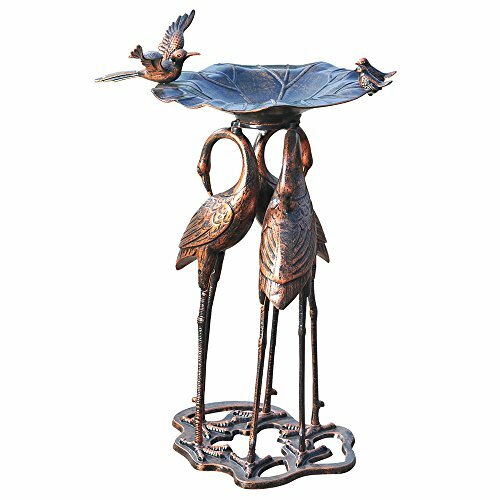 This bath features an elegant glossy metal look with a decorative bird and leaf basin and a pedestal with beautifully etched details that will complement any environment. 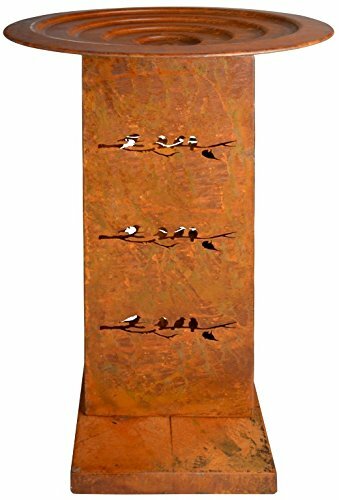 The bath's bowl is one-inch deep and is perfect for all your bird neighbors.